The best self contained breathing apparatus· A quality product manufactured under strict quality control and designed by world class. A face piece made of superior natural rubber mix or silicon. Having visor made of superior Mark olone or Lexan. Comfortable 5 strap head harness for precise adjustment. Wide soft sealing edge is pressed lightly against the face by the positive pressure providing firm effective seal. Soft inner mask: design to minimize dead space. The anti fogging ports keep the inside of the visor clear and cool. 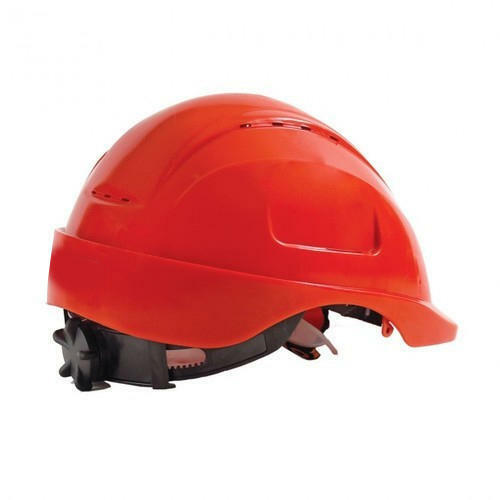 The demand valve is tough automatic provides extra safety. Easy breathing work, regardless of secondary pressure or work load due to unique breathing valve balancing systems. The set is back mounted on a ergonomically and ribbed designed back plate made of FRP so that to restrict radiant heat burns. Totally chemical and corrosion resistant. It features a 40 mm wide harness with Delrin quick lock buckles which do not restrict the user when crawling. The back plate is designed to support a wide range of cylinders i.e from 115 mm to 215 mm dia. An adjustment free piston reducing valve reduces the cylinder pressure. The reducer features a pressure relief valve which in the unlikely event of there being a failure in the reducer assembly prevents access pressure reaching the demand valve. The valve also incorporated a chemical sintered filter which gives a large surface for filtering the incoming air and as a result less of a resistance to the air flow. High pressure hose is made of a braided stainless steel. The medium pressure hose made of superior rubber. The pressure gauge is mounted in a stainless steel case covered with thick rubber shroud. The warning whistle is operated exceeding 90db when 80% of the air is consumed. The pressure gauge and whistle assembly is mounted on the left shoulder strap to monitor the cylinder pressure at all times. Activation of the whistle can be easily detected by the wearer.